Having a website is great for your clients, but it should not end there. The website alone needs some help driving traffic to itself via Google, Bing, Yahoo!, etc. SEO ( Search Engine Optimization ) is the practice of building a website up to show up higher on the search engines. It is necessary tactic to increase your businesses exposure. While Kates Digital Marketing would love to work with you to assist with this, there are a few things that can easily be done. This article will explain SEO and some simple best practices to quickly increase your rankings. Acronyms can be a pain sometimes. As discussed in the introduction, SEO stands for search engine optimization. Wikipedia Definition Here. It comes down to the process of adjusting your website or page to raise it in a search engine’s free results. There are many ways to do this and its always evolving as companies such as Google change their search algorithms. SEO should be taken seriously because, if done correctly, can leverage more relevant leads, sales, traffic, and profit to the business. Continue reading to see what you can do to get into the SEO game. Everyone searches for things today! Click this to see how many today only. Cell phones, computers, tablets, Google Home, Amazon Alexa, Siri, and many more search the internet for their users. Why not do your very best to get your website as high as possible on those searches? It is much cheaper than a TV commercial or billboard, and you can formulate your site to show up on only specific search “key words”. It’s also worth noting that your competition is probably harnessing SEO and rating higher than you are. People are searching for any manner of things directly related to your business. They are also searching for things loosely related. You have a chance with SEO to be more visible to these searches, solve their problems, become a trusted resource, and increase revenue. First and foremost is where to spend most of your effort. Currently Google is overwhelmingly used over all other search engines ~69%. With over 21% of all searches, even Google’s image search outshines the competition. If you can only dedicate a certain amount of time or desire to focus on one place to start, go with Google. Anything other than Bing, Yahoo!, and perhaps Duck Duck Go will probably not be worth your effort. Regardless of which engine you shoot for, remember the search results are always changing. Google particularly constantly updates many of their algorithms on how they rank websites. It is important to stay informed on these changes to keep your website up to code. So lets focus on google. How does Google determine rank which pages show when someone searches for a keyword? How do you grab a piece of this valuable traffic to your website? Staying on a high level, since Googles algorithm are very complex…. They determine quality many different ways. One of the most important being the number and quality of other websites that link back to your website. Basically saying, you will score higher if other trusted websites such as news outlets, large blogs, well known websites, etc. link back to your website. They “crawl” your website (programmatically read) to determine its content and decide if its relevant to what a user is searching for. How long people engage, or stay, on your site. How much unique, high value content on the website. Its not good to copy content! This may sound overwhelming, but there are plenty of resources around the internet to help. I will make sure to include some links at the bottom of the article. Also don’t forget Kates Digital Marketing can take all the hassle out of SEO for you. The above still applies to good SEO, but there are other requirements for local business. Thankfully they are quiet easy to get ranked. Google My Business is a free tool to list your business on Google. It will display your business information on the first page of a search Google determined to be local. Certain statistics say completing your My Business profile will give you a 30% bump in exposure alone! While you’re at it you should also list your site on Bing, Yelp, Yellow Pages, and any other tool that will list your business. Setting these up will give your business an instant boost. It will also get your site some of those link backs mentioned in the previous section. Don’t forget to include other sources not mentioned here. Your local Chamber of Commerce is another good source if you have it. Some businesses can harness special forums, sub reddits, etc. Also remember that reviews and posts are very important. In Google My Business especially, having a large amount of quality reviews, replies to said reviews, and posts will improve your rankings. So mention the review to your clients! White Spark’s Google Review Link Generator is a great way to share this link with them. What Are Some Tools To Assist Me Further? This article just scratched the surface of SEO. It’s quite tricky to tackle without any software to help you. Below I will list some tools to help you achieve your goals. Google Search Console – Run tests on your website and tools to help improve your search rankings. Google Keyword Planner – Free Part of Google Ads. It helps you find good keywords to incorporate into your website. 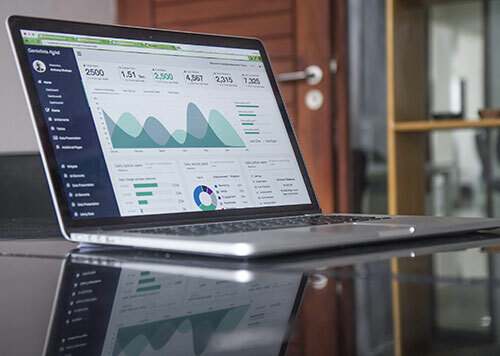 Google Analytics – Great tool to add to your website. Will track many statistics which can help you better target audiences. Ahref’s Backlink Checker – Helps check links to your site. Keyworddit – A helpful tool to crawl reddit to help find relevant audience expectations. Responsive Design Checker – Mobile only searches are here. Google checks your site’s responsiveness and ranks it accordingly. Check it with this tool. 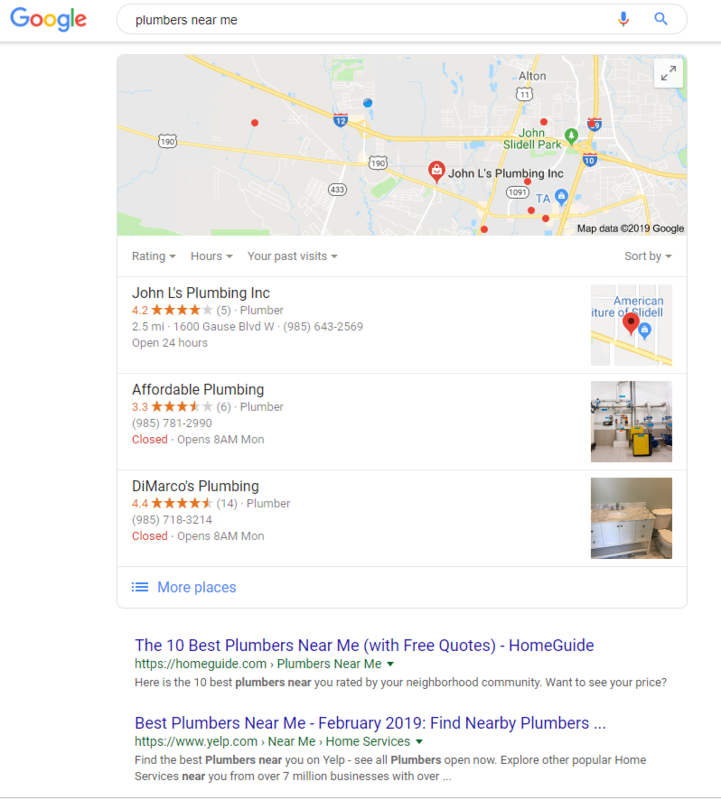 White Spark’s Google Review Link Generator – Reviews are HUGE for local businesses. Generate a link here to share with your customers. Below are the 3 most popular tools to help even further with your SEO. They each excel in different categories so check each out thoroughly to make sure your a paying for the tool(s) that suites your needs most. Time is money and we understand if you don’t have the time to invest in DIY SEO. Paying a professional to handle it will most probably go well beyond paying for itself. Kates Digital Marketing will keep you updated with analytics and work for you to keep your website as high as possible in the listings.